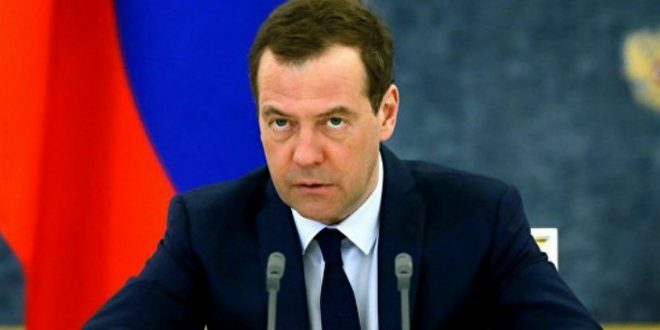 Russian PM Blasts "Completely Impotent" Trump Over Sanctions, Declares Start Of "Full-Fledged Trade War" - Joe.My.God. On Wednesday, President Trump signed a new sanctions bill targeting Russia. Russia has reacted with unrestrained fury. Indeed, fury is an understatement. In a Facebook post specifically referencing Trump, the Russian Prime Minister Dmitry Medvedev (No. 2 only to Putin), warned that Congress sees Trump as “an incompetent player” who must be “liquidated”. Yes, you read that right. While Medvedev is suggesting that Congress will liquidate Trump for opposing their efforts to sanction Russia, this also reeks of a Russian warning to Trump specifically. The rest of Medvedev’s post was equally aggressive.